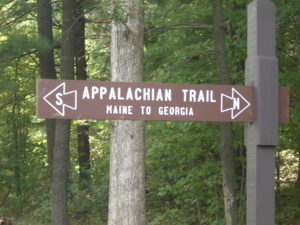 The Appalachian Trail, also known as the A.T., runs approximately 2,200 miles, from Georgia’s Springer Mountain to Mount Katahdin in Maine. Managed by the National Park Service and the Appalachian Trail Conservancy, this trail meanders through wilderness, across rivers and through some towns. The greatest challenge associated with the A.T. is the “thru-hike,” or an attempt to hike the whole way during just one season. If you are looking for an adventure that will let you see a great deal of the beauty of America, and you have a period of months to dedicate, then check out these tips about making it all the way from northern New England to the Old South. There are some people who ship packages to themselves containing supplies, picking them up at small post offices along the way. However, the A.T. gives you access to quite a few towns with stores as you go, so you don’t need to worry about figuring out mailings. This way you can shop as you go, for most of the route. The only places where you might think about shipping packages is to the post office in Fontana Village, North Carolina (which also offers a place to stay and do your laundry), and to the Kincora Hostel, in Dennis Cove, Tennessee. You’ll find almost 300 shelters along the trail, but they can get loud and crowded; the most seasoned thru-hikers recommend putting up tents instead. They are good places to stop and get the news about conditions up the trail, mooch some provisions from the short-term hikers, who are usually glad to dump the weight, and check out the shelter’s log to read the adventures of others. When I was younger I dreamed of vacationing in romantic countries around the globe and visiting islands in the South Seas. Once I learned to ride I realized that you never have to leave the United States to enjoy beautiful views and amazing places. The Appalachian Mountain range is a perfect place to plan rides and take in some of the most beautiful scenery in the eastern United States. Remember when traveling to other states to know the laws of the roads you will be riding. You can always check with MotorcycleInsurance.com for helmet laws, checkpoints and legislation you may need to know about before hitting the road. One of the prettiest rides you can find in the autumn months is along the range from Virginia to North Carolina. Taking the Skyline Drive from the Shenandoah Valley in the state of Virginia all the way up through the Blue Ridge Parkway in Cherokee, North Carolina, will leave you breathless. The ride is incredible any time of year but the fall foliage is an added attraction to the scenery and photo ops.